Appreciation Surprise: Laser Coaching on Monday! Surprise! As a token of my appreciation, I am gifting all members with a laser coaching session on Monday. 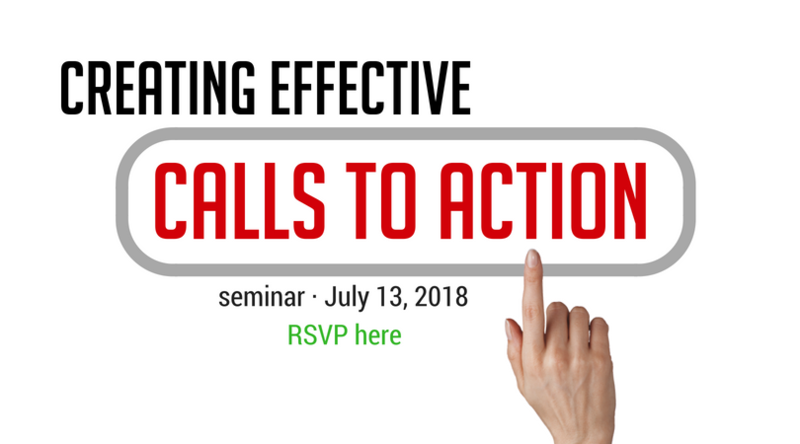 All members (ALL LEVELS) get access to the fifth Action Call of the month on Monday, July 30! Regularly $25 for members without a pass, all Action Calls are FREE for all members on this special Monday. There is a extra third call scheduled for 11 AM to handle the increased participation. If all three calls fill up by Sunday, July 29th at noon, we will add a fourth call. Everybody wins! Save your place now through the Calendar. Are You Ready for More Traffic to Your Website? Are you getting Likes on social media, but very few other results from your posts? Does your audience Like you on Facebook or Instagram, but ignore your website (and your offers)? Get a step-by-step plan to boost traffic to your site. Join me on Thursday at 10 AM Pacific. There is no charge for members! Friday Only: 20% Off Precision Coaching! You may have heard I'm offering 20-minute Precision coaching sessions. These short and super affordable sessions are on sale this week for 20% off! That means instead of paying the regular price of $75, you can get your session for a measly $60. Math alert: Buying the individual sessions on sale now is less expensive than the 3-pack! Full disclosure: Super Users earn Rewards on Precision sessions. Are You Ready for YOUR 1-Page Marketing Plan? You've already heard my announcement about my new approach to strategic marketing planning. Now you can experience it for yourself! Introducing the one-page DIY Prosperity & Profitability Marketing Blueprint. This is the ultimate marketing plan! It is shorter, clearer, and easier to create than ever. And it defines your best marketing strategy for generating revenue now. This all-new webinar is my gift to members and their friends. Invite friends, family or colleagues to attend the webinar as your guest (they save $25!) on Wednesday, July 25 at 10 AM. Have them register using the code: XXXXX. You will receive $5 in Mastermind money for each of your guests who stay for the webinar. Wow! You'll both walk away with an amazing new profitability tool. => Lot of support for you this week + tattoos + 3 member specials! Wear Your DIY Tattoo + WIN on Tuesday! Hey, you know that tattoo I just mailed you? Wear it Tuesday, because it is National Tattoo Day. And if you post a photo of yourself wearing your DIY tattoo on Facebook, you'll get richer! 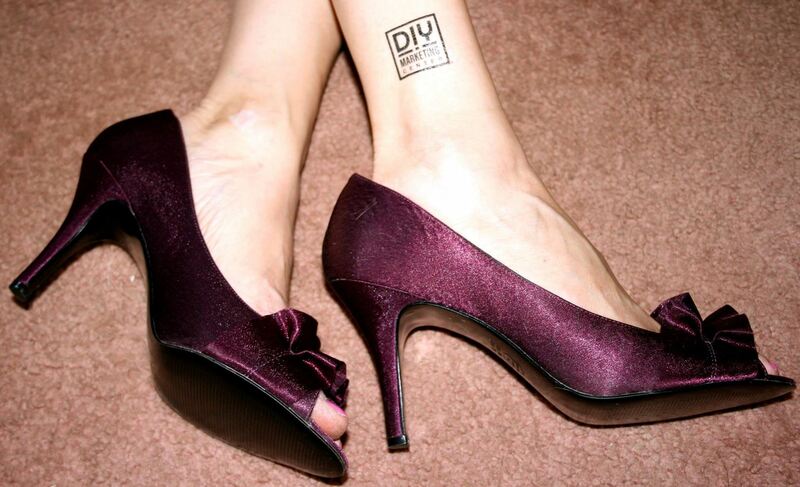 Post a photo of your fully visible DIY tattoo on Facebook on Tuesday, July 17. Tag @DIYMarketingCenter AND use the hashtag #TattooDay. One entry per member. Note: Incomplete entries are not eligible. Wanna another chance at the prizes? Post a selfie with a friend (may be a member) with your DIY tattoos. Yeah, both of you DIY tattooed. Tag the DIY and use the #TattooDay hashtag. Limit one second entry per member. Total potential value of this promo = $60 Mastermind money! Full disclosure: Only one will will the drawing. 99% of entries will earn $5-10 in Mastermind money. But you'll look darn cool doing it. You Are SO Supported This Week! Feeling frazzled, overwhelmed, or disconnected? You are not alone, and help is at hand. This week you get three times the support. The Monday Action Call, Wednesday Marketing Coaching, or Friday virtual Mastermind. And you can come in the office, too! Networking for Newbies happens in Vancouver on Wednesday. There's no charge for you, and you can bring a friend as your guest. One thing you can count on: I am here for you. To support, encourage, and celebrate with you. Whatever you want to achieve, my friend, we can do it--together! I got you, babe! And baby, you got me. Register now to get the support that is right here waiting for you. DIY Weekly Member Update · July 16, 2018 · #393 © 2018 Veronika Noize. All rights reserved. So, how are you at math? This week there are THREE Member Appreciation Specials for you! Monday: Double Rewards on all coaching sessions! Wednesday: TRIPLE Rewards on all coaching sessions! Friday: Buy One Get One Half Off on coaching sessions! All available in buy-now-use-later packages. You'll find the specials on the Coaching Packages page (sub-page of Member Coaching) in the Members Only area. The secret to getting them to BUY already! Your prospects and clients...they look, they like, they (might) read your offers, but buy? Not so much. Instead of wondering WHY they don't buy, let's DO something about it already! Hint: The secret is in the call to action. Introductions: We're going to learn a powerful and dramatic way to introduce yourself so that people listen and remember your name! Behind the Curtain: How I use Canva like a boss (even though I have zero graphic skills and barely any time). DIY Weekly Member Update · July 9, 2018 · #392 © 2018 Veronika Noize. All rights reserved.